When it comes to music streaming, services such as SoundCloud, Spotify, iTunes and Amazon Music can literally be the best place to discover and enjoy new songs provided you have a stable and strong internet connection. But have you ever considered needing tracks and albums for offline listening? I know this sounds frivolous but if yes, then this is where you need a free music downloader. Trust me, if free music download where to be the food of love, I’d say play on. Also Read: 5 Sites to Download Full Length Album. There are a plethora of apps designed to let users download music in MP3 with minimal fuss, but they’re hard to come by. Of course one may choose to “download music via torrents provided they have the right client software, but finding programs such as this aren’t easy. Luckily, we where able to find some of the best free music downloader that brings tons of features that includes converting your music to convenient formats and allowing you to stream them within the app if need be. So without further ado, here are the best free music downloader. We start off with the best music downloader out there; Free MP3 Finder. You might have come across this great tool, allowing users to download music from more than 1,000 sites including YouTube, Jamendo, Archive and 4Shared without the need to install any app. As an online free MP3 downloader, free mp3 finder offers a ton of features and can also serve as a free music video download tool. The site brings an audio converter that auto converts YouTube playlist to MP3. To use free MP3 Finder you’ll need to head over to the site and search for a music or artist. Then either play the music directly from the site or download it in high quality for offline listening. Next up in our list is MP3jam. Offering over 20 million audio tracks all legal and available for free download, MP3jam could literally pass as the best music downloader. The tool organizes a ton of music hosted by YouTube in albums and allows users to download the entire album for free, all in MP3 format. MP3jam offers a sleek user interface and a smart music search box that’s useful for finding mp3 songs from different artists. As a music download software, MP3jam brings an option to preview music and doesn’t use torrents, p2p algorithms or pirate sites. It’s undoubtedly the best music downloader for discovering music by genre. Fildo is unequivocally one of the best music downloader. The app was specially designed to allow users stream or download most of their favourite songs for free. One of Fildo’s unique advantage is that it doesn’t host any audio files, rather it brings music from a ton of sources and makes them available in one place. 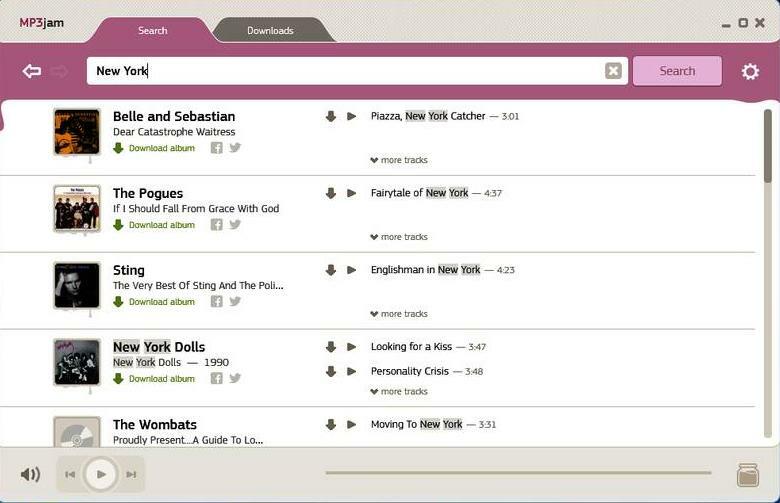 With Fildo, users can choose either to download a single track or a whole album. A simple search will give you access to the entire discographies. Fildo’s interface is easy to setup, just select a folder where you want your music files to be stored, and you will get to discover thousands of new songs available for streaming or direct download. If you are a torrent freak and prefers to download your favourite music via torrents, then frostwire should make everything fast and straightforward. Frostwire is a free and open source torrent client that serves as one of the best video and music downloader. 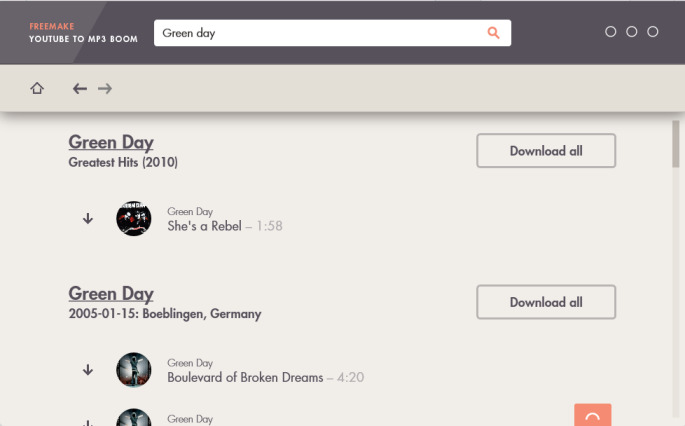 The app brings a built-in torrent search which allows users to find and download music or an entire album from distributed peer-to-peer BitTorrent Network. Frostwire offers a built-in music player as well as a media browser with options to stream or play any song before downloading them. The app itself has a simple user interface and it is really a versatile music downloader. There’s 70 percentage chance that you might have heard of 4shared. If nope, then know that it’s an FTP hosting service designed​ to let users share videos, music and photos. Luckily, the developers behind the original 4shared app has introduced a new separate app dubbed 4shared music to let users find, download and listed to music with ease. On 4shared music, users are given 15GB of free storage space to upload their songs and this will be made accessible to other users. To be more elaborate, 4shared Music is an excellent app for downloading and listening to music offline. You can also manage or add your favourite tracks to playlists and stream them within 4shared music. Freemake YouTube to MP3 Boom is another great music downloader that can be used to download a slew of music from YouTube without the need to grab the actual video. Freemake YouTube to MP3 Boom lets users download audio tracks by entering the song title, artist name or YouTube URL. The app also comes in handy for downloading audio in batches, which means that you can grab the complete work of your favourite artist by entering the album name. Further more, freemake YouTube to MP3 boom allows its users to listen to song within the app before downloading them. It’s really a free music downloader that’s worth having. Songily is one of the most reliable music downloader strictly designed to allow music lovers download songs comfortably. The app brings an in-built online video converter alongside a simple user interface that helps in discovering new music. Songily has a huge database of music and you can easily preview and download them in high quality MP3. On songily, you will discover original music from different artists as well as the remix. Users can also download music from YouTube using songily. The app itself is fast and downloaded music files are stored in the “Downloads” folder. Overall, songily is a useful music downloader to get tracks for offline listening. Download MP3 Music is a simple and fast music downloader that allows users to stream and download any of their favourite songs for none commercial use. The app offers over 1 million high quality mp3 music with tracks grouped by genres, instruments and moods. One of Download MP3 Music strong point is the availability of lyrics for songs that aren’t instrumental. Aside from this, Download MP3 music has a fast and robust multithreaded MP3 download engine and a flexible search option to find music album easily. Download MP3 music is really one of the best music downloader to listen to independent artists from the comfort of your couch. Songr is basically a cloud music player that allows users to stream and download music from multiple web services such as YouTube Grooveshark, Prostopleer, MusicSearch and more. The software is quite similar to Fildo and offers a very intuitive and efficient user interface. 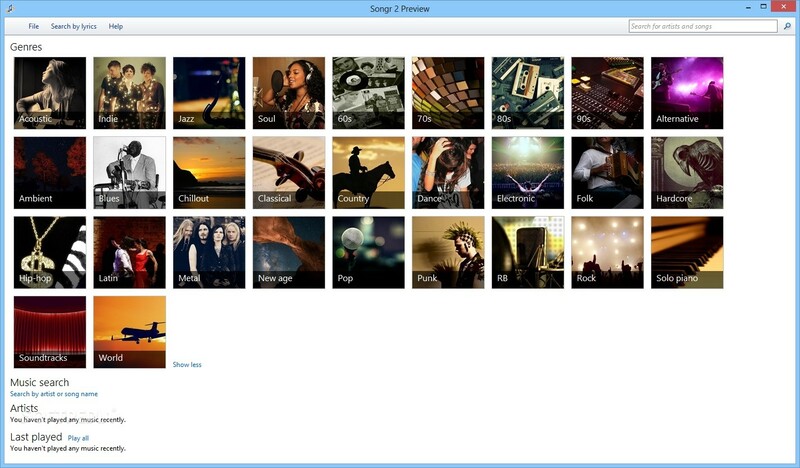 Songr can come in handy to find music and listen to them directly from your PC. Users can search for lyrics or song title and the results will be presented quickly. On the downside, songr doesn’t bring support to resume interrupted downloads but it lets you simplify search for MP3 song and does not require real configuration. In summary, Songr is definitely among the list of hassle-free music downloader. Audiomack is yet another essential music downloader to stream and download a ton of songs, albums, mixtapes and playlists all for free. Audiomack provides a plethora of trending music and allows users to easily browse through top categories such as Rap, Reggae, Hip-Hop, EDM and R&B. The app itself is neatly arranged and offers a slew of high quality music to download and listen offline. Users are allowed to create their own playlists and browse through expertly curated playlists by mood, genre and more. For one thing, audiomack should be on your list of music downloader, since it allows you to create 15 second video or image synced to any song. It’s without doubt, the best free music downloader to grab tracks and album for offline use. YT3 Music Downloader is one of the most popular music downloader of all time. The app was created to let users download any songs or video hosted on YouTube. With a simple and plain interface, you’ll get to find out how spectacular YT3 Music Downloader is. There’s only two tabs within the app, one for searching for any artist or songs you like, & the other to show your downloaded contents. YT3 Music Downloader comes in handy for streaming music while viewing the lyrics, and you can easily download the song for offline listening anytime anywhere. YT3 Music Downloader speed is extremely superb, and it’s a music downloader worth considering. Zing MP3 is a promising music downloader that’s split into two different functions; a music player to comfortably listen to all the songs on your device and a manager to download music to your device free. Zing MP3 is a fairly decent free music downloader that offers a huge collection of Vietnamese songs from world renowned artists. The app also brings a catalog consisting of all kinds of music genres from rap, pop to metal and jazz. Zing MP3 user interface is elegant and well-maintained. It’s obviously one of the best music downloader out there. SuperCloud Song MP3 Downloader is another powerful music downloader designed to allow users download thousands af songs for free. The app’s interface is clean and easy to use. Once you have it installed on your device, you’ll get to find a ton of albums and tracks simply by entering a search term. Aside from this, SuperCloud Song MP3 Downloader brings an option to stream music within the app before downloading them for offline listening. To round it up, SuperCloud song MP3 downloader is fast and offers everything a music lover will need. It’s also one of the best free music downloader. Simple MP3 Downloader offers a large selection of music, the app as its name indicates is a simple and free music downloader that allows users to download MP3 files for offline playback. All that is needed to get things done is to input the name of the song or artist and you’ll be presented with a slew of songs to choose from. One of simple MP3 downloader most sort after feature is its support to stream music from the app without downloading them. It’s probably the best free music downloader considering the fact that it offers a convenient way to stream and download music with ease. Music paradise pro is undoubtedly one of the best music downloader that lets you discover free music to download. The app itself is good and offers thousands of songs from popular artists. There’s an integrated browser within the app that serves as a way to find any track you’re looking for. Coming to the interface, everything looks clean and clear. With just a tap, you’ll get to download any music of your choice or even stream them directly from the app. To sum it up, music paradise pro is a spectacular music downloader that can be used to grab tracks and listen to them offline. Music MP3 Download Free CopyLeft is a great music downloader that’s essential for streaming and downloading most of your favourite songs. Unlike other music downloader, music MP3 download free copyleft only provides a plethora of songs available under the copyleft and creative commons license. But even at that, you’ll get to find hundreds if not thousands of albums​ and tracks directly from the app’s search feature. Additionally, music MP3 download free copyleft is sleek, fast, well-designed and perhaps the best music downloader. Lastly, we have music maniac. A free music downloader that offers huge collection of songs and handy features to make music experience a breeze. Music maniac is an app designed to let users download songs and listen to them offline. The app’s database is filled with numerous high quality songs all in MP3 and can be downloaded for free. For one thing, music maniac interface is quite simple, no extra features but you can search by artists or song name. It’s really another free music downloader that’s worth being on this list. So these are unequivocally the best music downloader on the planet. While the likes of AnyMusic, Napster, Deezer and others may seem to be good, they aren’t free. So if you want to give life a meaning and express that which cannot be said, then you’ll certainly be contented with this aforementioned free music downloader.